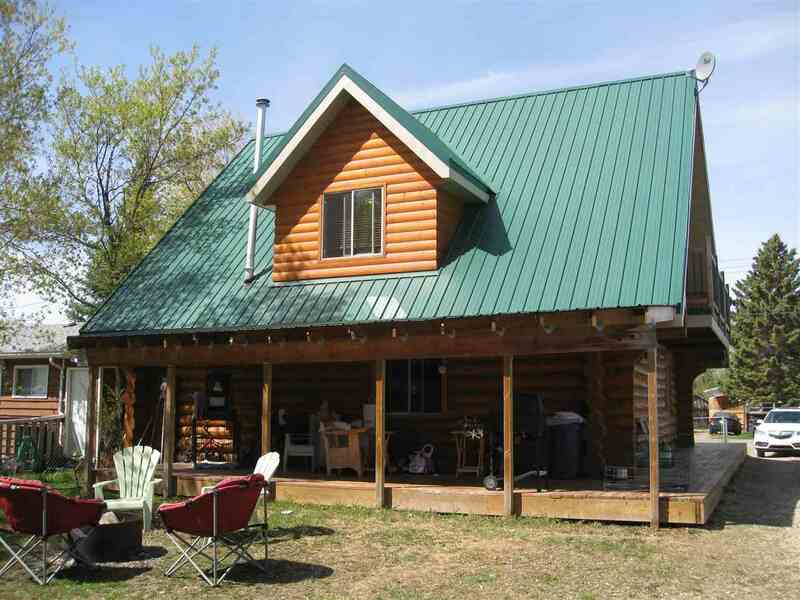 This 3 Bedroom older mobile has a Log Cabin addition that fronts on to the Sturgeon River. This Gorgeous 3.58 Acres has a Panoramic View of the River Valley. This would be a great place to build a Home!! For now this property has a well maintained home with a Dog Kennel licence which is currently not in operation. The White kitchen has lots of Cabinets and Counter space along with a Built In China Cabinet. Has a Large Master Bedroom with the other 2 Bedrooms both a decent size. The addition has a Large Dining Room with a Woodstove in the corner. The Spacious Living Room has a Large Picture Window overlooking the Enclosed Screened Deck. This very Private acreage has Trees on 3 sides and would be great for the couple that wanted to run a Dog Kennel. Everything is here, already to start up again. Come have a look and make your own decision!! Priced to Sell!! Hwy 16 to Hwy 43 . North to The first Right past Onoway. Turn And follow Left North about 1 1/2 Miles to sign.